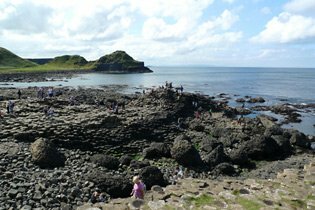 The Giant's Causeway . . . 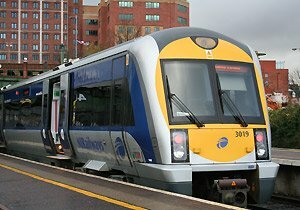 Step 1, take a smart modern air-conditioned train from Belfast's Great Victoria Street station to Coleraine, running every hour on Mondays-Saturdays, less frequently on Sundays. At Coleraine, leave the platform and turn left into the bus centre, which is an integral part of the rail station. 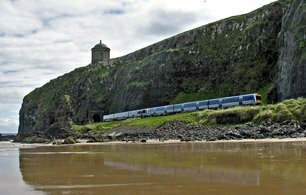 To check combined train & bus times from Belfast to the Giant's Causeway, go to the journey planner at www.translink.co.uk/Services/NI-Railways and simply enter 'Belfast Great Victoria St' to 'Giant's Causeway', selecting 'Aird, Giant's Causeway' when prompted. No pre-booking is needed or even possible, just buy tickets on the day. They cannot sell out. 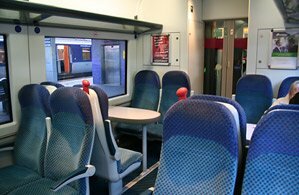 NIR stations sell a one-day unlimited train & bus ticket covering all NIR trains and Ulsterbus buses for a whole day for around €16 adult. At weekends and school holidays a family & friends ticket for 2 adults and up to 4 children costs a bargain €20.